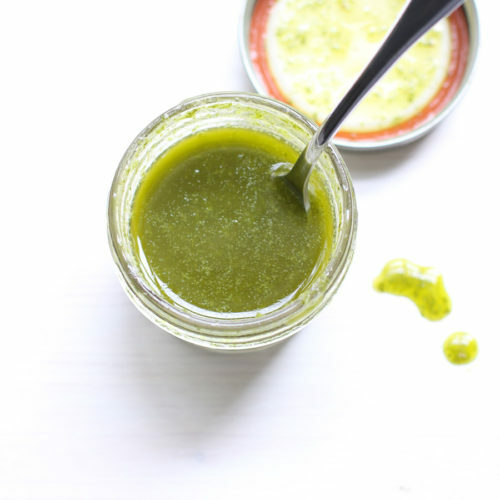 This lemony fresh homemade basil vinaigrette is so easy to make. Blend it up in under 5 minutes and drizzle it on everything from salad to grilled or roasted vegetables and eggs. It’s the best way to use up your garden fresh basil! Add vinaigrette ingredients to a blender and puree until smooth. Toss your vegetables with a little of the vinaigrette or drizzle it on as a topping.